With the 4th of July right around the corner, I figured now would be a perfect time to feature this adorable child session from just a couple weekends ago. My summer schedule changes a bit when the summer heat rolls in. As a Phoenix Child Photographer, it's crucial to consider things like the temperature and time of day in which we schedule the shoot. Not just for comfort levels but the heat often agitates even the tiniest of subjects. PLUS, beat pink cheeks and sweat beads rollin' down a littles temples isn't usually what Mom is looking to capture. Mornings are just as natural light photography friendly as the well known "golden hour." Fortunately, most kiddos are rarin' to go first thing in the morning and this trio certainly was! 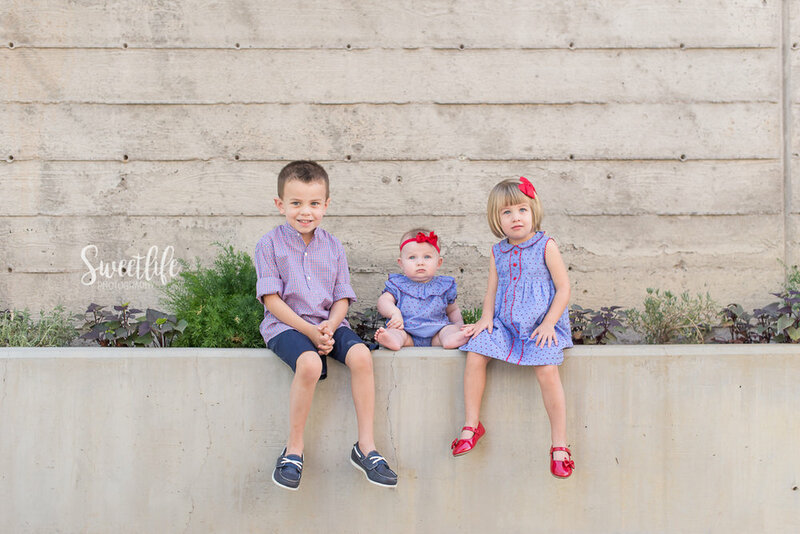 We met bright and early one quiet Saturday morning and these precious images are the result of VERY fun and successful child photography session!